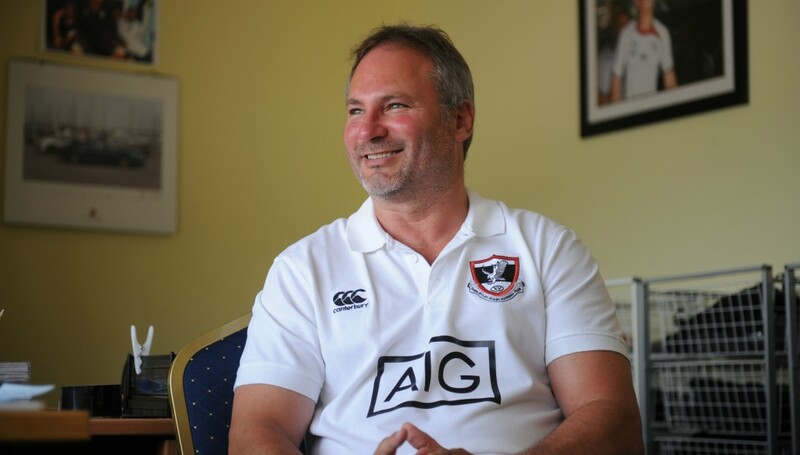 Dubai Exiles coach Jacques Benade admits things have not gone his side’s way in the early part of the new season – but he is not making any excuses for their patchy start. 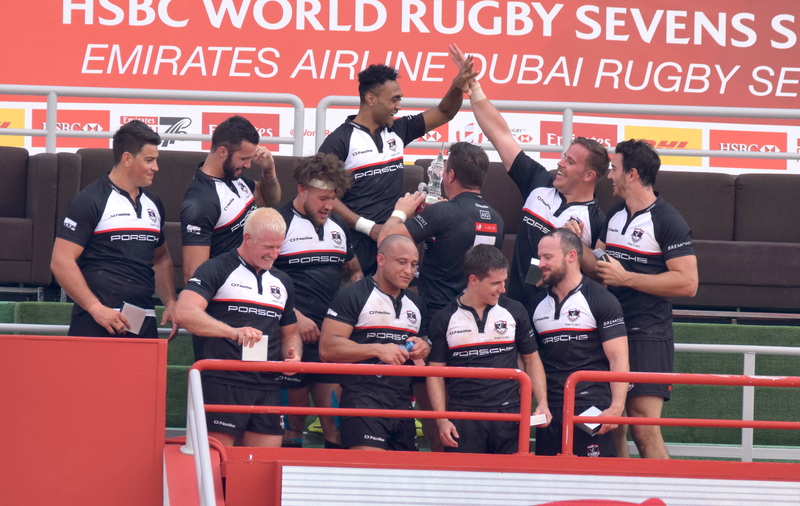 Exiles – UAE Premiership and Dubai Sevens champions last term – occupy third spot in the West Asia Premiership and with only Abu Dhabi Harlequins and Bahrain five and four points ahead of them respectively, things could be worse. A narrow 20-14 defeat to out of sorts champions Jebel Ali Dragons on opening night was followed by three wins on the trot – including a home victory over Bahrain – but they crashed to a 44-20 defeat by Quins at The Sevens last Friday. A lengthy injury list and several absences haven’t helped Benade’s cause, but the South African is refusing to take the easy way out. “It’s been a difficult season so far with the amount of injuries and players again not available due to work commitments, but we just need to work hard and stay positive,” said Benade. “I don’t think the holiday/half term was good for us but no excuses. Harlequins were just better on the day last week. “Quins were strong in the set-piece and put us under pressure. The backs just had a terrible first 20 minutes in that we just couldn’t hold on to the ball. Silly, basic errors in catching and passing, silly offloads and just not being patient enough to play another phase and get Quins to make some tackles. “At 17-6 down with a minute to go before a very poor first half ended I thought we were still good enough to come back in the second but another error, turnover and a seven pointer to go in at half-time 24-6 down was just too big a gap to chase down. Quins overcame their own opening day defeat to reel off four straight wins to sit top of the pile. Exiles head to Jebel Ali this weekend, hoping for revenge against the champions, while they will be keeping one eye on events in Bahrain, who host Quins. “We let ourselves down last week and are all very disappointed in our effort,” added Benade. Exiles were believed to have had as many as 11 regulars out against Quins, but Benade is hopeful he will have a full complement of players by the turn of the year – with four more games to come before Christmas, including this weekend. South Africa boss Rassie Erasmus is surprised at Danny Cipriani’s omission from England’s squad for the November internationals. Head coach Eddie Jones overlooked Cipriani despite the playmaker impressing on the field since trading Wasps for Gloucester in the summer. England boss Jones has insisted he omitted Cipriani on form rather than any fallout from his £2,000 fine after pleading guilty to assault and resisting arrest on Gloucester’s pre-season tour of Jersey. 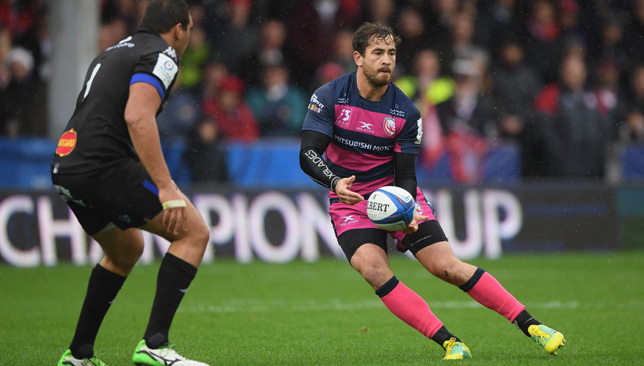 Cipriani has since been suspended for three weeks after his red card for a high tackle in Gloucester’s 36-22 Champions Cup loss at Munster, but can return to action when the Cherry and Whites face Leicester on November 16. England will host South Africa at Twickenham on Saturday, with visiting coach Erasmus admitting he had anticipated Cipriani’s inclusion in Jones’ ranks. “Just because he’s a great talent, I was surprised he’s not involved,” said Erasmus. “But in terms of the way Eddie (Jones) is building his squad, he has his ducks in a row in terms of who is his second and third choice and how he mixes and matches them. “It would be foolish for me to comment on selection, not being in their camp. Fit-again Manu Tuilagi could add power to England’s midfield if he starts in the centres on Saturday. Co-captain Owen Farrell would most likely start at fly-half should Jones opt to pitch in Leicester wrecking-ball Tuilagi from the off against the ever-physical Springboks. Cipriani started for England as Jones’ men grabbed a consolatory 25-10 victory in the summer’s third Test against the Springboks, losing the series 2-1 but securing a morale-boosting win in Cape Town. The 30-year-old conjured a defence-turning grubber for a vital Jonny May try, that had Erasmus expecting to see him in action again this autumn. While Cipriani’s World Cup 2019 hopes again hang in the balance, Erasmus does not feel England will be overly weakened by his absence this weekend. Asked if it will be easier to prepare his Springboks to face an England team missing Cipriani, Erasmus said: “No, I think that would be a stupid statement for me to make. “Farrell can do it and there are so many guys in the English team that can make something out of nothing. Louie Tonkin's Bahrain side have started the season brightly. Louie Tonkin leads his Bahrain side into an early top of the table West Asia Premiership battle with Abu Dhabi Harlequins this weekend – but the Welshman insists it’s far too early to be talking about title deciders. Bahrain and Quins are the form sides in early part of the 2018/19 campaign, with both sides boasting four wins from five games. Quins sit atop the standings on 20 points – just one point ahead of Tonkin’s charges by virtue of having earned one more bonus point. Mike McFarlane’s side have turned in four straight wins following an opening day 24-14 defeat to Friday’s opponents in Abu Dhabi. Bahrain, meanwhile, were downed 31-20 at The Sevens by Dubai Exiles at the beginning of October, but then beat champions Jebel Ali Dragons before a resounding 45-15 trouncing of Dubai Hurricanes last weekend. Now they welcome Quins to Saar, although Tonkin is downplaying the significance of the game. “People say it’s a top-of-the-table clash, but we’re not paying attention to that right now, it’s only round six out of 15 so every game is equally important, especially home games, so we’ll hope for a big game and improve on the Hurricanes performance,” he said. “It’s a step in the right direction (last week’s win) but we know we need to be better again against Quins this weekend. This Friday, 2nd November is a top of the table clash in the WA Premiership, between old rivals Bahrain RFC and Abu Dhabi Harlequins! Golden Oldies v Bahrain Select 2PM K.O. Bahrain RFC v Abu Dhabi Harlequins 5PM K.O. Quins have notched 30 points or more in each of their last four games since losing to Bahrain on opening night – beating Dragons 46-22, Dubai Eagles 50-21, Canes 31-21 and Exiles a week ago 44-20 to make a mockery of pre-season suggestions they could struggle. Games come thick and fast this season and each side will face their opponents three times. Bahrain will play each opponent away twice, so the onus is on them to pick up points at home. “It’s been a good few weeks for us,” added Tonkin. “We were gutted to pick up that loss against Exiles. We played poorly and just didn’t turn up. Exiles did and picked up the win. “That was really disappointing. We went to Dragons and ground out a win, although we still played pretty poorly or below our potential we think we have. “We had a few weeks off and got a few boys back. That first block of games was difficult – particularly with the Champions League beforehand. It meant we had six games in seven weeks and that’s the most we’ve ever played, and we’re a small squad.